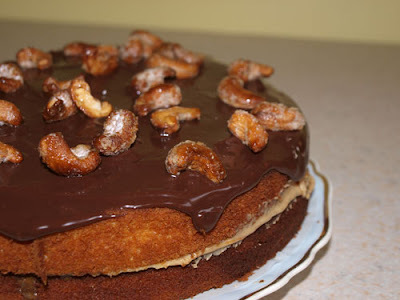 It's my DH's birthday tomorrow and he loves Snickers and anything to do with peanuts, but as he works in a food factory he can't take any product with nuts in it into his work. When I saw this recipe in the BBC Good Food Magazine I knew I just had to save it to make for his birthday. 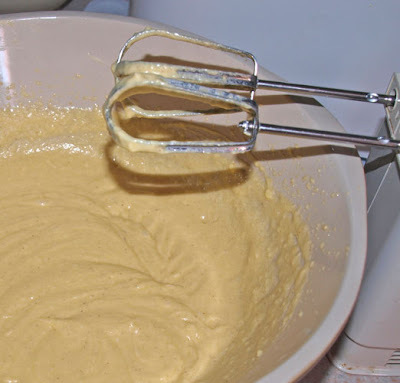 It was soooo easy to make, just throw all the cake ingredients in a bowl and whip them up with the electric mixer. 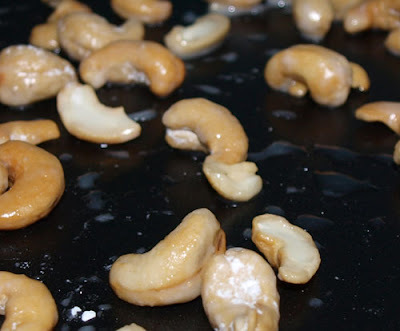 Errr, you might have noticed that these are cashew nuts rather than peanuts. Well I picked up the smallest pack of, what I thought were, peanuts but they turned out to be cashews (blush) anyhow I wasn't going back to the shops for more nuts, so they just had to do. 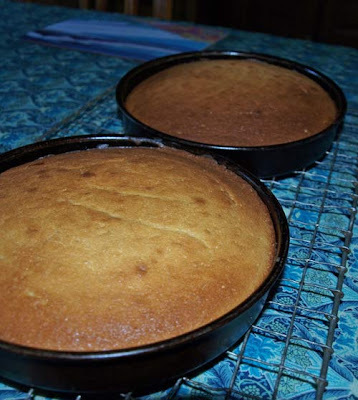 The picture above shows them covered in icing sugar waiting to go in the oven to caramelise. 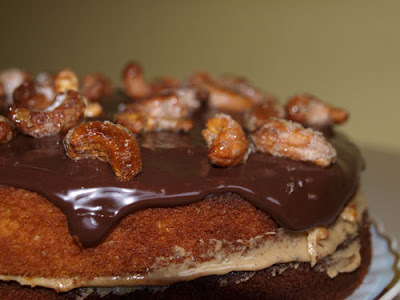 The cakes are sandwiched together with peanut butter and caramel sauce, then you melt 100g of milk chocolate with two tablespoons of milk, let it cool a little and spread on the top. Just the carmelised nuts to go on top and you're done. Here's a closer look, no drooling lol! And before anyone asks, I wont be making this for the retreat next May! Oh Janice I am sitting in a pile of drool now!!! It looks scrummy and, personally, I prefer cashews, especially caramalised mmmmmmmmmmmm. Are you open to bribary for May?? We could order the ingredients in for you. Mmmm, those look like they caramelised beautifully! Hope it goes down well (sure it will) and makes a welcome change from Guiness cake! ooooo Jeremy would adore this cake...can you send him a bit???? That cake looks awesome!! I adore Snickers! Yummtastic.